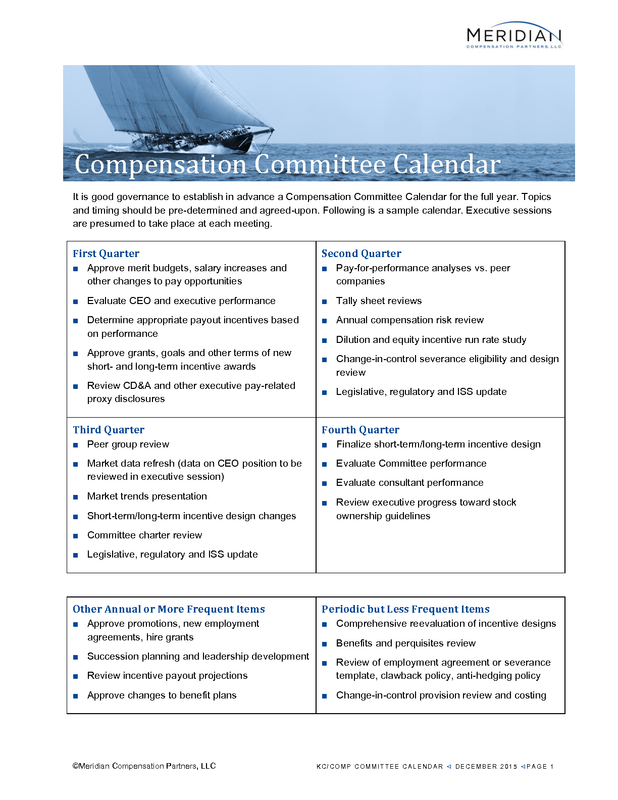 Meridian provides a sample calendar for the compensation committee. It is good governance to establish in advance a Compensation Committee Calendar for the full year. Topics and timing should be pre-determined and agreed-upon. Following is a sample calendar. Executive sessions are presumed to take place at each meeting.